Pedestrians are the most at risk when it comes to motor-vehicle-related accidents. Even slow moving vehicles can seriously injure or kill a pedestrian. Pedestrians need to be extra careful these days because distracted driver accidents are occurring at higher and higher rates. Even if pedestrians are being cautious, drivers who are texting, changing the radio station, driving excessively fast, or just being generally inattentive can cause serious and debilitating accidents. These accidents can leave victims physically and emotionally scarred for years to come. In cases such as these, drivers must be held responsible. 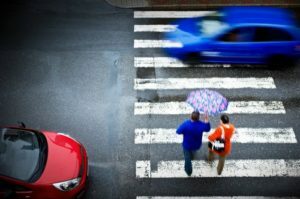 Victims of pedestrian accidents need a competent personal injury lawyer to champion on their behalf. Don’t leave the fate of your case in the hands of someone lacking experience. The Law Office of Dominick Angotta is willing to stand up to big insurance companies. Contact us today and let us fight for the compensation you deserve.